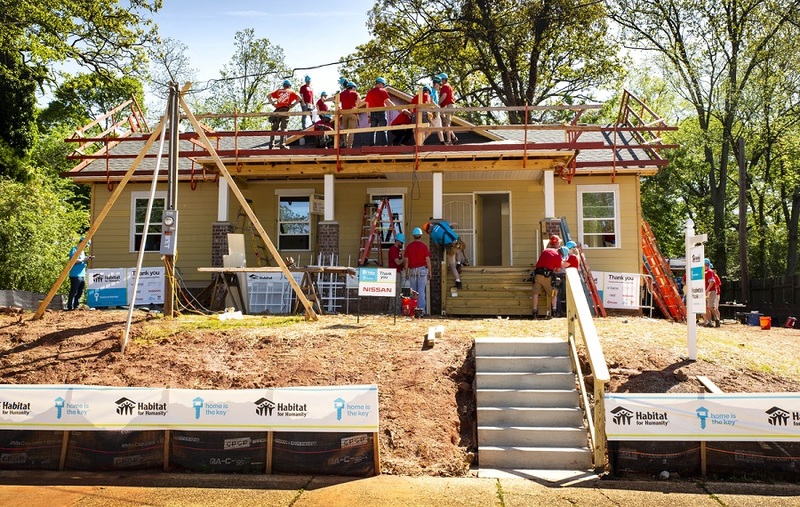 Nissan has joined Habitat for Humanity for the third annual Home is the Key campaign to generate awareness and support of the need for more affordable housing in the United States. "We're incredibly proud to continue our relationship with Habitat for Humanity through this latest 'Home is the Key' initiative," said Allyson Witherspoon, vice president, Marketing Communications and Media, Nissan North America, Inc. "Habitat for Humanity does life-changing work in the U.S. and around the world, and we are honored to be involved." Last fall, the brand launched its 'Calling All TITANs' campaign to celebrate everyday heroes using pickup trucks to improve the world around them. And last month, Nissan launched the second in a series of 'Calling All TITANs' project vehicles – the Ultimate Work TITAN – at the NTEA Work Truck Show in Indianapolis. The truck then went to Dallas, where it was donated to the local Habitat for Humanity. "Nissan recognizes that affordable housing is the cornerstone to vibrant communities and a strong economy," said Jonathan Reckford, CEO of Habitat for Humanity International. "We thank Nissan and its employees for their continued commitment to a world where everyone has a decent place to call home." Money donated by and through Home is the Key partners goes toward Habitat's mission of addressing urgent affordable housing needs. People can also back the campaign by donating at habitat.org and by sharing their support using #HomeIsTheKey on social media.